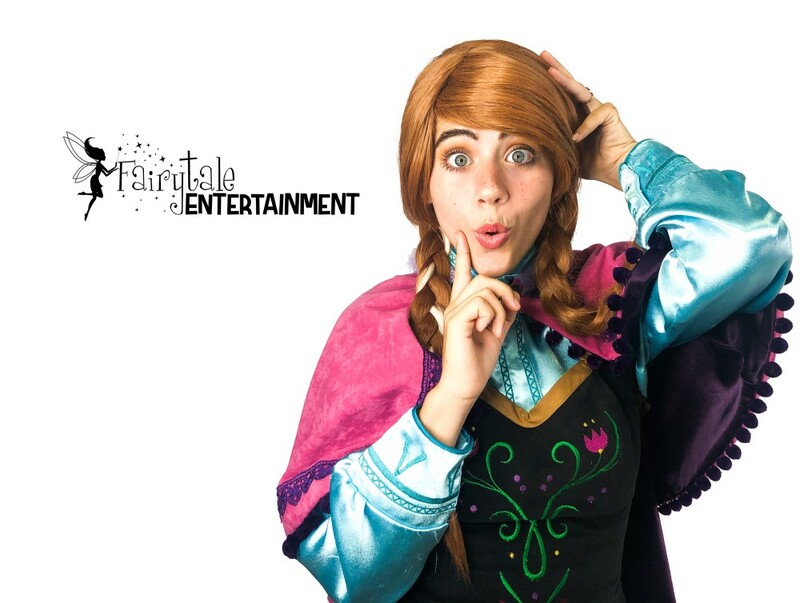 Our Frozen Princess Ann Character Party is one of our most requested princess parties that we are providing right now, not to mention her enchanted sister, the Frozen Snow Queen. 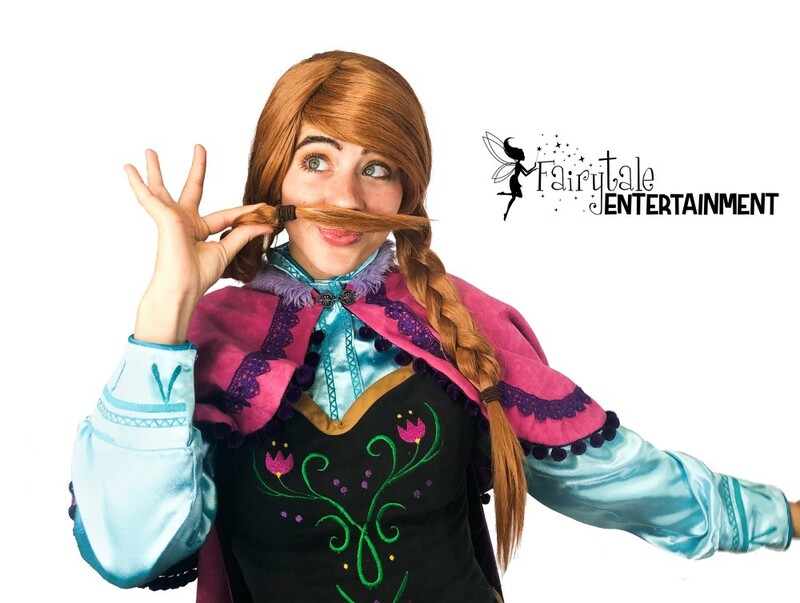 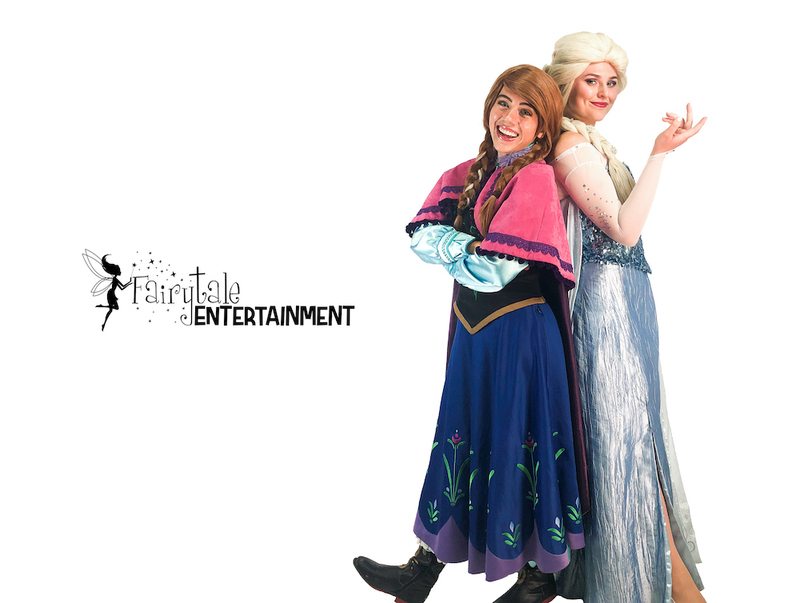 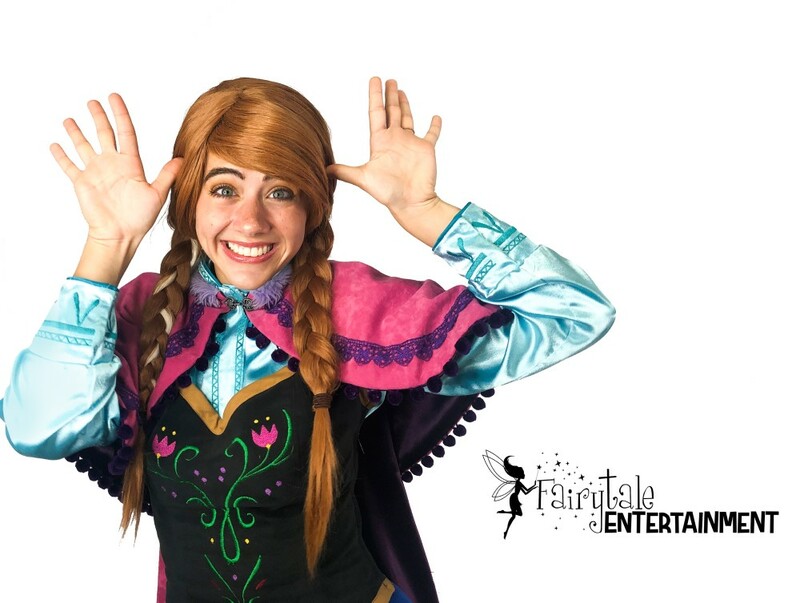 When you include Fairytale Entertainment's Frozen Princess Ann as a part of your Frozen Themed Birthday Party or special event, you and your little girl will be sure to have the magical princess party experience you've been dreaming about. 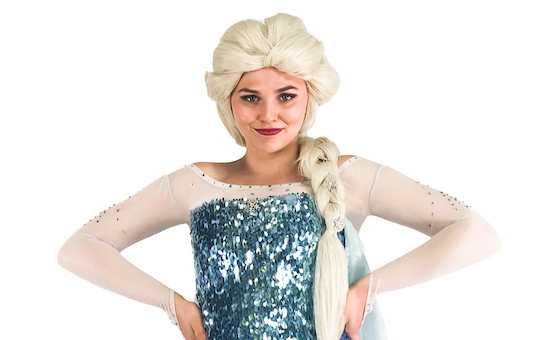 From the moment she steps into the room, your children will be amazed by the magic of her voice and thrilled with the entertainment she brings until the very moment she blows her goodbye kiss. 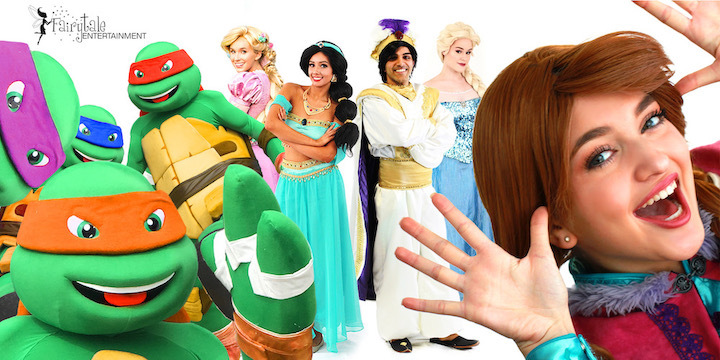 This will be a memory to cherish forever! 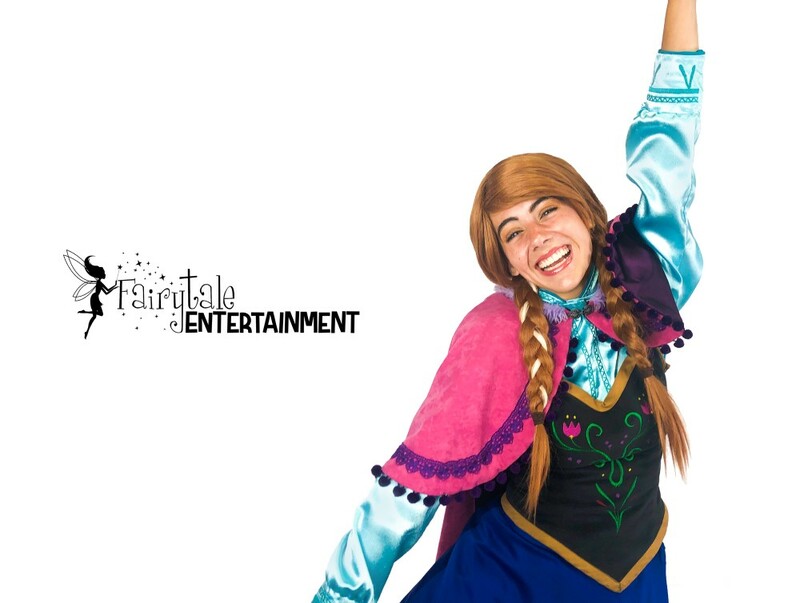 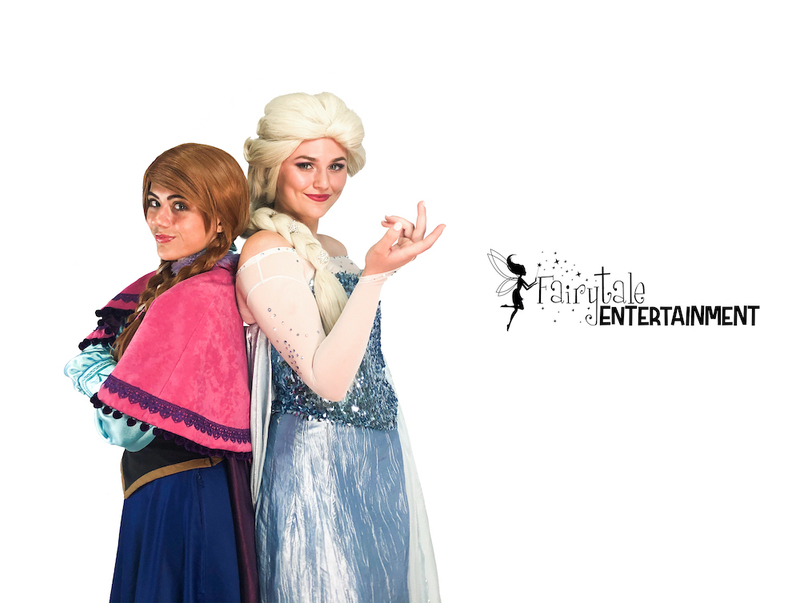 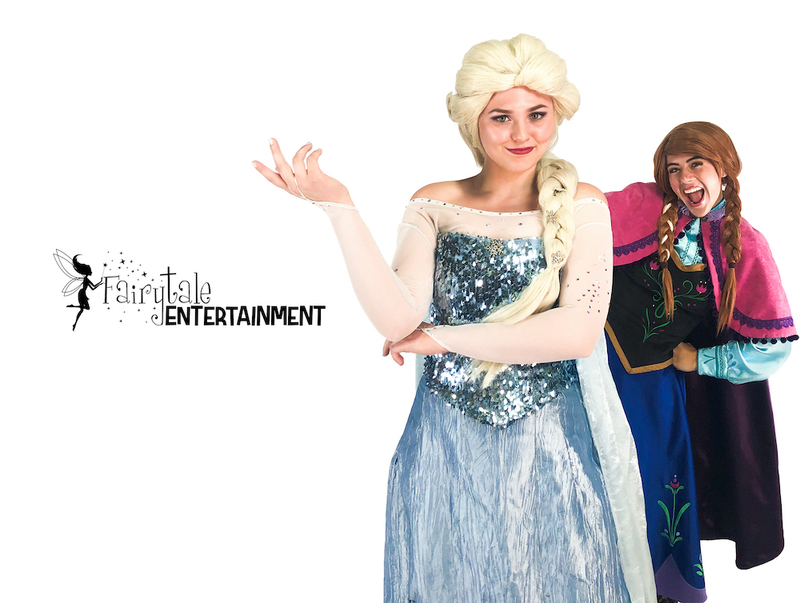 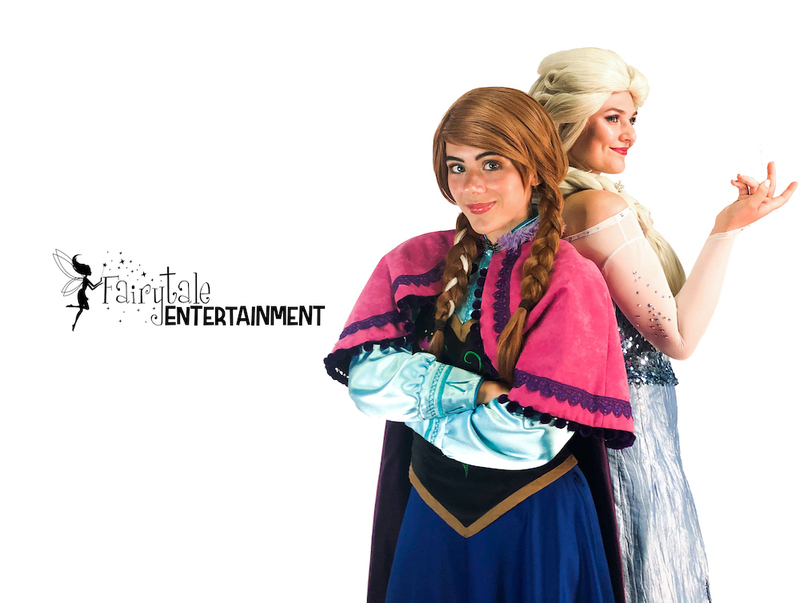 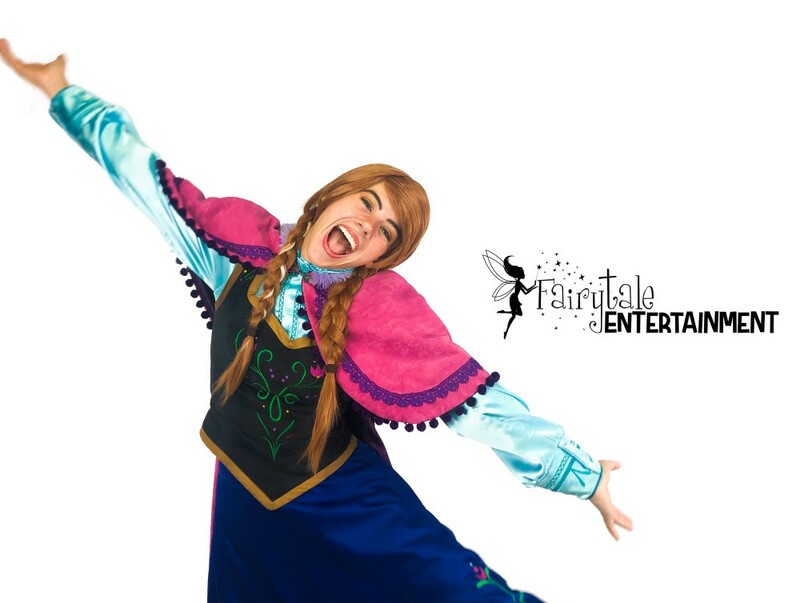 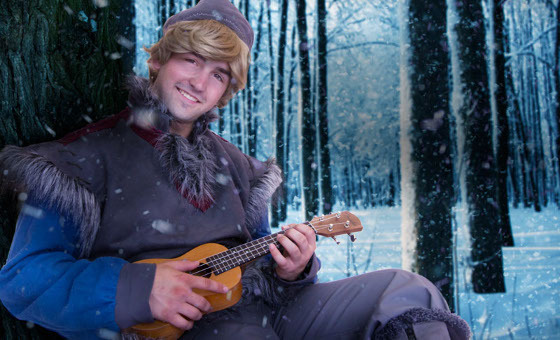 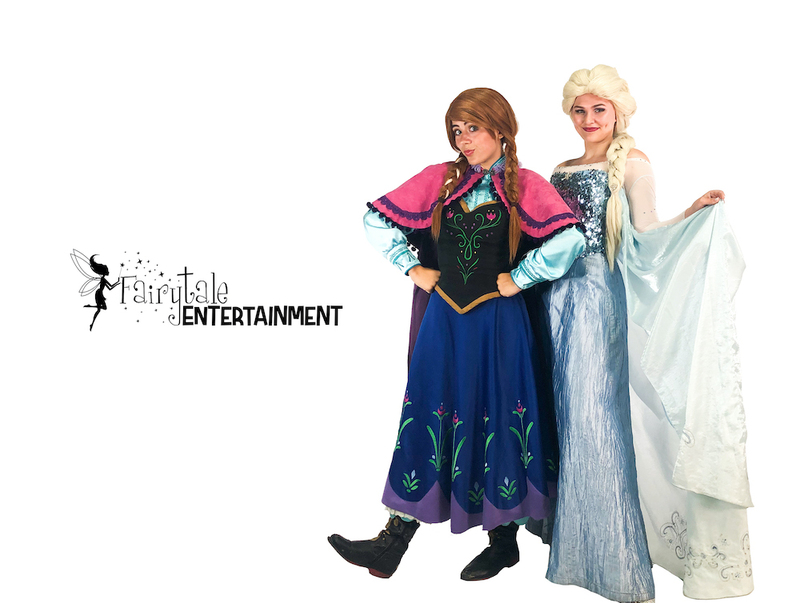 Make your child's next party or special event an incredible experience they will never forget; book the entire frozen princess party performers today! 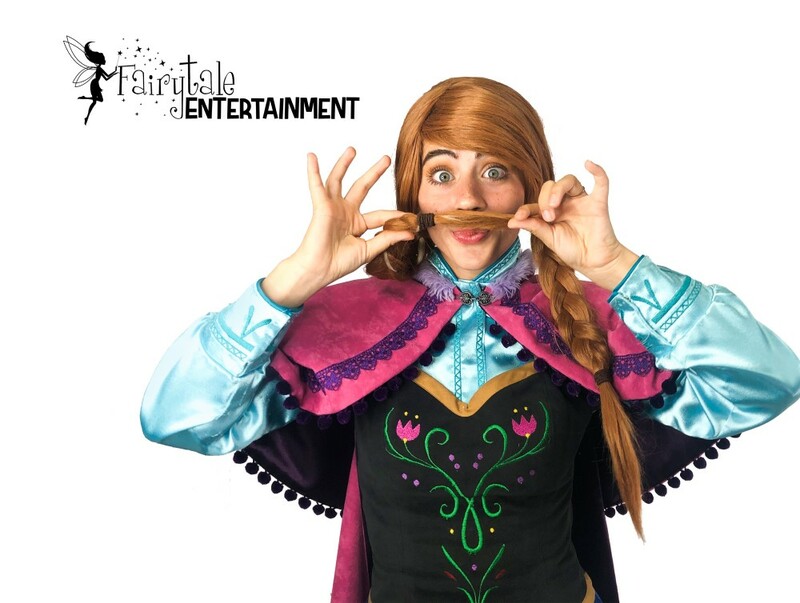 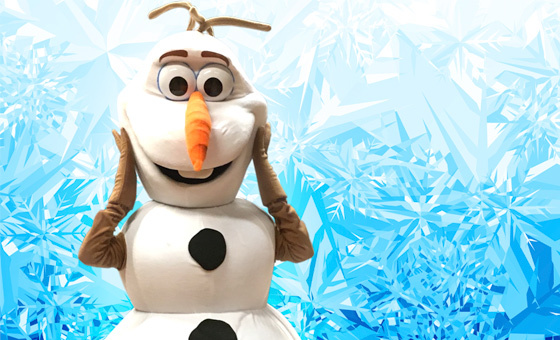 Frozen Princess Ann, Frozen Kristov, Ollie the Snowman and the Snow Queen herself are all ready to give your children the party of their dreams! 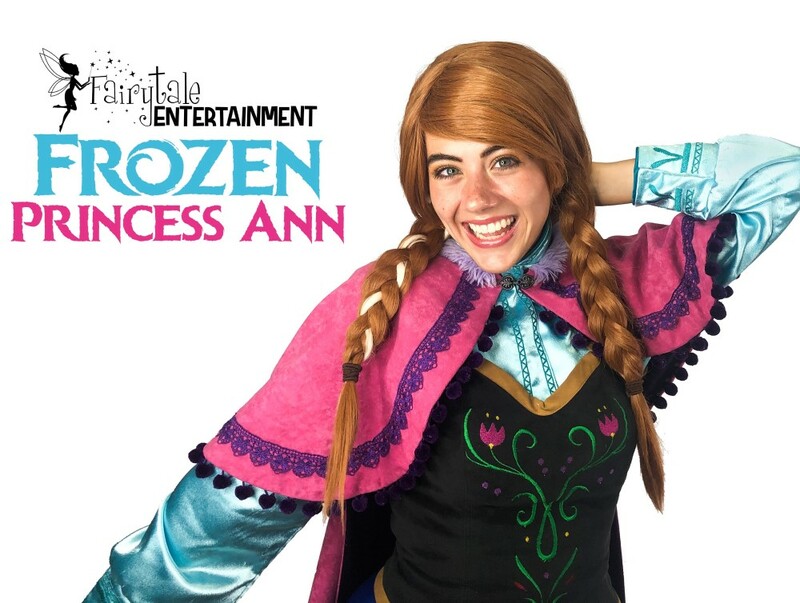 Our Princess Ann is available, in all her splendor, at our Auburn Hills, Michigan location, our Naperville, Illinois location and our Huntington Beach, California location. 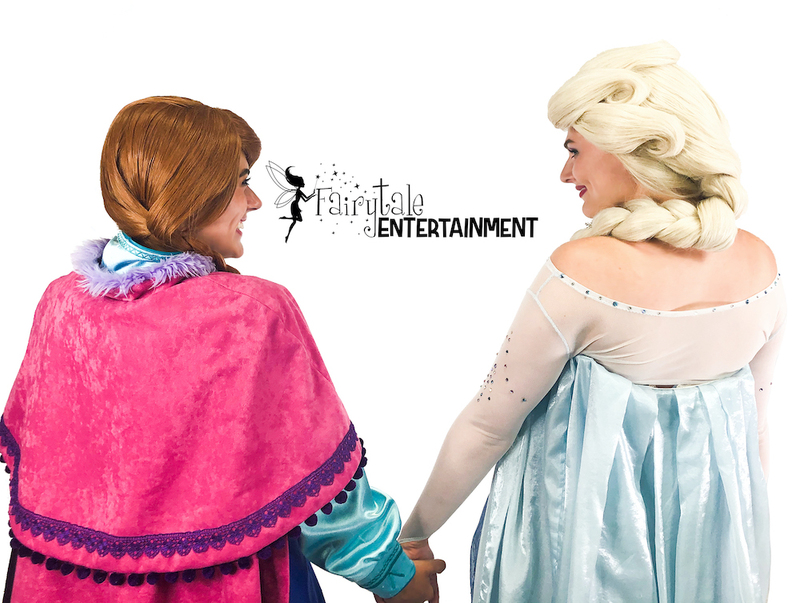 Our princesses are prepared and trained each week by our local office team ensuring that the details of your special event turn out to be magical. 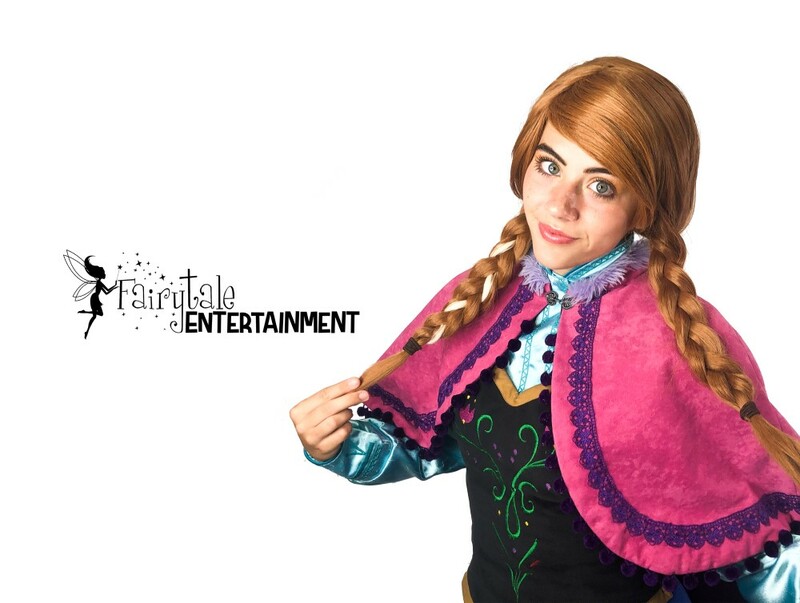 Unlike other companies, we prepare our own dresses and wigs, train our very own cast of entertainers and speak directly with you prior to your event. 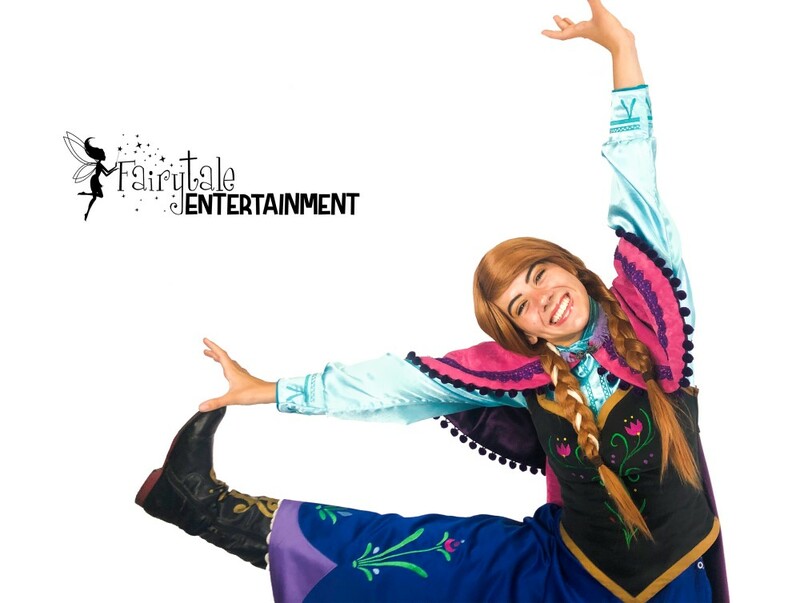 We take pride in every detail and in our customer service.